My friend is in a sad dilemma today. Far, far away from the dreary grey and cold of mid-St. Louis, she’s flying down to sunny Florida through the great blue sky. She hasn’t seen her husband since the day after Christmas. Could this be a grand reunion she’s planned? 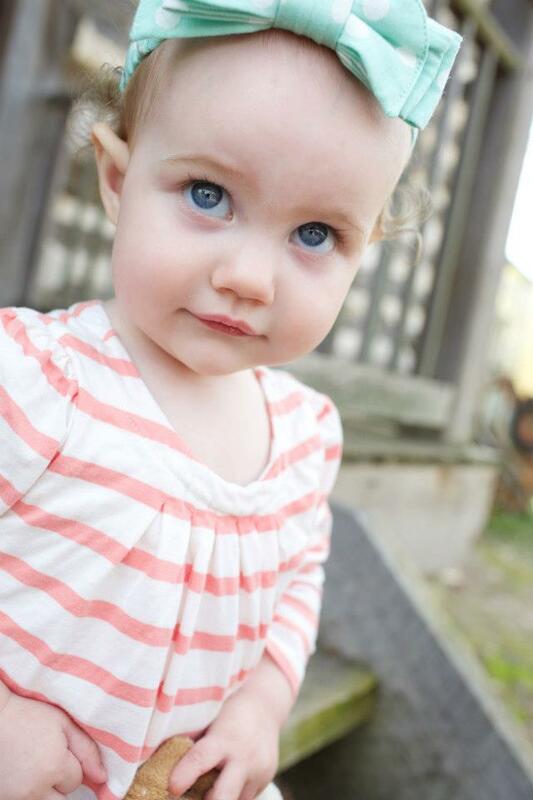 She should be looking forward to hugs and kisses, sitting in the sand with the sun shining down on pale white faces. Sadly, I sense there will be none of that. I know my good friend dreaded packing for this trip to palm trees and the beach. An ultimatum is going to be given. I woke with a smile on my face. And a wee bit of tilt in my tone. That was all that remained any more. I was about to get an unexpected lesson in “Chronic Conditions” of another sort: The Human Spirit. The other evening my husband and I cozied up in our “movie” chairs, blankets thrown across our laps. My dog was next to me, eyeing the popcorn bowl. If a single fluffy kernel fell from my hands, it disappeared before my fingers could reach for it. I’d look at his shaggy face, suspiciously then. He knew he was wrong, he’d hide in the den. Success does not land in your lap. It starts with an idea. I compare it to a seed that must be tenderly planted in soil. A small hole must me dug in the finest earth where a slight seed will be dropped forth. There it will be buried and covered, watered, nurtured, and guarded every day with prayer in mind. God has a greater part in this life of your seed, in your future success than you realize. You must do the work, put in the hours, have the will and live the passion, it’s true. Yet, it is He who brings forth the proper mixture of soil, temperature, sunlight, nightfall, raindrops, and dew. 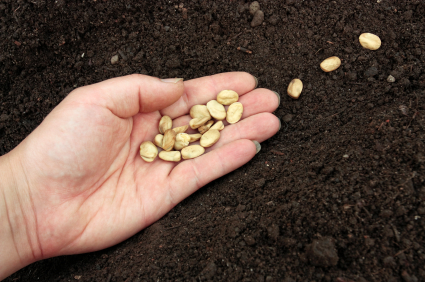 With care and prayer, your seed will sprout forth from the ground at the befitting time to be given to you. It is yours now. He is counting on you. With continued belief and prayer, He will be by your side. to see your idea grow bigger and better into that dream of yours. Most of yesterday, well into the evening, our fireplace was kept lit by pressing a red remote control button near my hand. My fuzzy slippered feet were propped up on the sofa where my computer sat upon my lap. There, I wrote words by the light of flickering flames. Times have changed though often it’s for the better. It is freezing cold here in St. Louis. Much like the rest of the country, I’m told. When I rose from under layers of cozy bed covers this morning, my “Doodle” dog barely lifted his head. From the dimly lit room, I could tell what he thinking. “Those bare wooden floors are cold. What are you doing, what are YOU thinking?” I sat down for a minute or more. Just when he thought it was safe to scoot back under, I fooled him. Taking a deep breath before putting fuzzy slippers on my frigid feet, I jumped up for the day. His shaggy white head and black nose peeked at me one last time. “Are you CRAZY?” At least that’s what I imagined he was….thinking. Yesterday, I went to see my good doctor again at Barnes hospital here in downtown St. Louis. He is the one I hope will heal my voice. I wrote not long ago of him after I was first diagnosed with a paralyzed vocal cord in a post entitled, “Sounds.” This good doctor of mine looked at me yesterday, asking me questions suspiciously. As I sat high in his vinyl blue examining chair I felt like I might be in Court of Law, on a witness stand. “Have you done your exercises?” he asked, in a very low, serous tone. “Yes,” faithfully,” I replied, to the best of my ability. Some things never change no matter how many years drift by. An apple ripened rosy red by the sun from God above or snowflakes falling gently from the sweeping grey sky. Hummingbirds flitting from feeder to feeder, or a tender mother’s love from one generation to next. This is what I’m thinking of. I’ve been in the process of sorting out family pictures to paste in fat, full albums. It’s something I’ve put off longer than I should. There are stacks and piles in all shapes and sizes around my office space. Some have names in my head while others don’t. Time passes so quickly it’s difficult to remember a few of them now. Hundreds of pictures, some worn, torn or faded are spread out on a table before me. I seem to be searching for something, not knowing what it is. Suddenly, a photograph is pulled from the bottom of the pile, quite by accident, one that I had forgotten long ago. Yet, as soon as I see it, my eyes are smiling, crinkling from outer corners while lifting up towards the brown of my brow. This photograph was taken years ago while living in our little Arizona ranch home. My sister and nephew were visiting from Chicago soon after my oldest son was born. 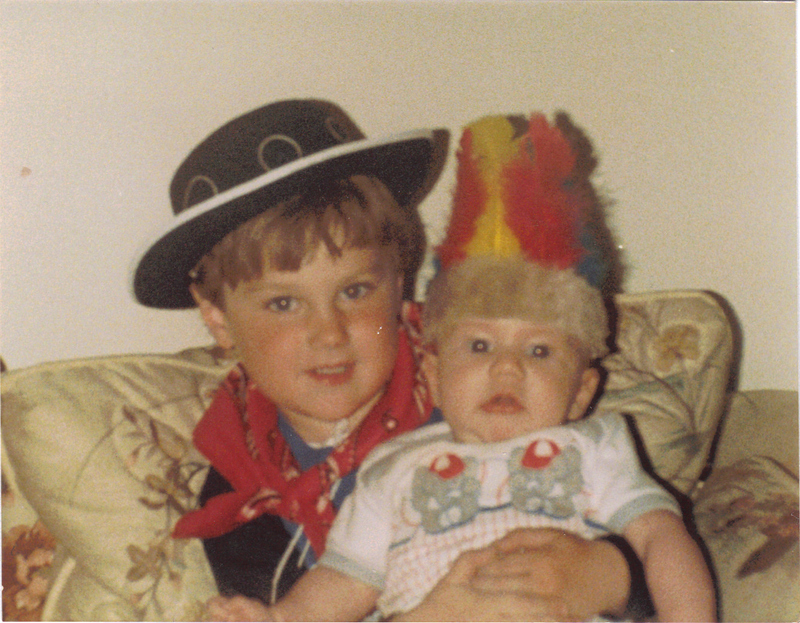 Like many boys seem to do, my little nephew wanted to be a cowboy on that particular day. So my sister and I did our best to make him feel that way. We looked up and down, searching all around for any cowboy finery that would do. One or the other of us found a black felt hat from a closet shelf before digging up a red bandanna from the bottom of my husband’s drawer. 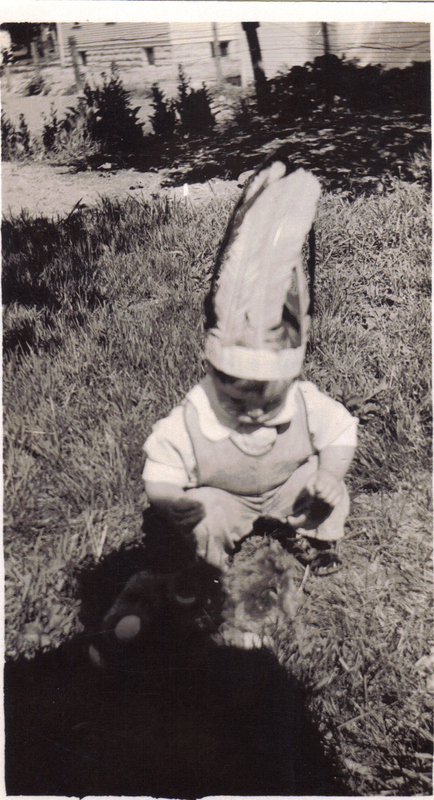 Discovering a feathered headdress of multi-colors, I stuck it on my baby’s head to snap a quick picture in order to stay with the theme of imagination. A few minutes after finding the first image, another treasure is uncovered in the stack. A photograph of my father, nearly eighty years back. Ironically, he’s dressed much like my baby son. On the reverse is my grandmother’s neat and wispy handwriting, looking as if she wrote it yesterday. It reads, “Paul, 1 yr. old. 1933.” The forefront depicts her shadow with curly and unkempt hair. I can see her holding an old-time camera, standing there. She’s taking this snapshot of her cherished young boy, the only son of a brood of nine she’d eventually bear. The lens of two different cameras, over fifty years apart, capturing intangible feelings. Two different souls, two separate hearts, four generations apart. I woke with a start in the darkest of the night. Loud winds whirled and whipped around near the moonlight. Listening, I could hear the banging of chimes, their brass pipes sparring against air like a fight, like a war. Usually, before winter comes my favorite wind chimes are lifted carefully from summer branch homes to be stored away till spring. One had been forgotten somehow. Lonely, it hung in the cold, in this snowy weather now. While lying in bed, I knew which one sung its mad song to me. It was the last gift my mother sent on my birthday the year she died. It was the one with the red cardinal on top that reminded her of me, of St. Louis, you see. The wind swirled, the brass tubes wrestled, furniture tipped, and new snow swept. The war of the chimes against nature created an analogy of the fight my mother had on her last day of life. While laying there, that’s what I thought of, the fight between life force and what lies next. On my mother’s last day the chimes played the way she would have wanted. A variety of them hung outside the screen door of her home. The winds were blustery. She loved them all, the different sounds and melodies they played, the twinkling of the brass tubes against one another when the breezes blew this way or that. It was nearing the end, but only God knew exactly when. The winds were especially gusty, blowing and brisk. As though He had a hidden message that soon she would be in heaven to breathe freely. For on earth it was such a fight for her, like the war waging outside my house last night. My family prayed by my mother’s side while listening to different songs of chimes blowing in the wind. Like messages from God sent from above, each one had a different tune. We listened to lyrical music, there for us to hear by ear. They were signs that Mother would be hearing them forever soon and be at peace. My mother’s death was several years ago, yet it is still so fresh in my heart and mind. 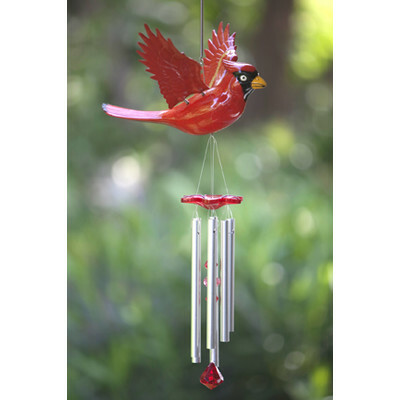 Today I will take the gift of my cardinal wind chimes from the snowy branch down to be safe. I will place them inside my home, warm and safe. Soon spring will come. The cardinal chimes will be pulled out again to be placed on a waiting branch for the sun to shine down from Heaven above. My mother will see them there. My mother will know.